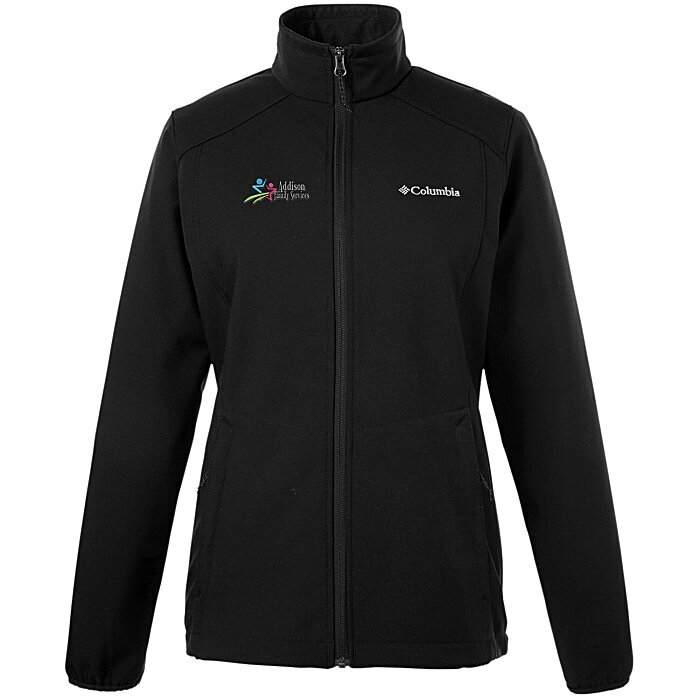 Add your logo to this soft shell Columbia® jacket! This comfortable Columbia® jacket is made of 100% polyester soft shell with a 100% polyester tricot lining. Water- and wind- resistant bonded soft shell keeps them dry and warm. Omni-Shield® advanced repellency fights off stains for ultimate outdoor and indoor protection. Complete with zippered waist pockets and an adjustable drawcord hem. Columbia® logo is located on the left chest.